Wow! It looks like a beautiful "Hong Kong night!" chotto kao ga maruku mieru. gomenne! Isn't Hong Kong wonderful? I agree there are reminders of Tokyo, and you can even shop at Sogo or Seibu as I recall. Things seem to be going well for you and that's great to hear. 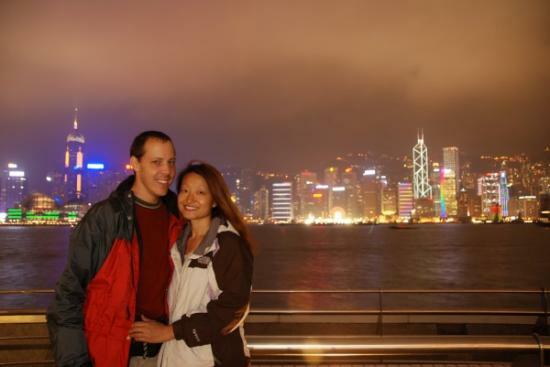 I like your photo from the harborside in Kowloon... looks like about the same place we had ours taken a few years ago (maybe by the same guy ). Happy travels!